Over 40% of the population experiences issues with their hair and hair loss is also one of the main issues reported. 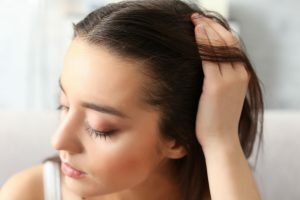 The issue is many people are so desperate to attain a certain look or a certain style that they do multiple things to their hair to try and achieve it. Over time, we all try experimenting with different hairstyles and colors to find a look that expresses who we are. But the issue is that sometimes we try to cut costs or even spend a lot of money only to be disappointed with the results. Either way, the constant struggle to achieve that perfect look leads to terrible habits and damaged hair. Fortunately, it’s never too late to start making changes that will help your hair look shiny and healthy. See if you are guilty of any of the bad practices below. We want our hair to look good from the top to the bottom, so many of us cover our scalp in conditioner in an attempt to make this happen. The unfortunate thing is that it’s actually the wrong thing to do. Try to visualize your hair as a scale of age. The hair at the roots is the newest, youngest part, while the hair at the end is the oldest. You only need to use conditioner on the older, damaged parts of your hair which are near the bottom. Using conditioner at the top is like applying anti-wrinkle cream to a baby. It’s unnecessary and can even end up over-conditioning leading to damage. Products like shampoo and conditioner are only recent inventions. Your body does have a system in place to self-regulate and clean your hair itself up to a certain point. Shampoo traps the oils in your hair leading to drying it out and damaging it if used all the time. Often, all your hair needs is a good rinse with some water. How much you use shampoo depends on your hair type but for most people only two to three times a week is necessary. This is by far the most disheartening news because hot showers feel amazing. But the truth is that hot water is terrible for your hair and makes it lose its natural texture and become coarse. It is also bad for your skin because it takes away essential oils leaving it dry and itchy. If possible, save the hot showers for special occasions and have shorter, colder showers more often to help keep your hair and skin healthy. It also will save you a lot on heating and water bills! We get it, you’re in a rush and want to get all that loose moisture off so it doesn’t dribble down your face, neck, and back. But rubbing your head tugs the roots of your hair over and over again and causing friction which can cause it to break. The best ways to keep it healthy is with soft gentle pats that press the water out into the towel or let it air dry if you have the time. You love the shape your hair is in when it’s wet and you want it to stay that way so you bust out the hair straighteners or curling iron and get to work. The problem with doing this is that when it’s wet, your hair is a fragile state. 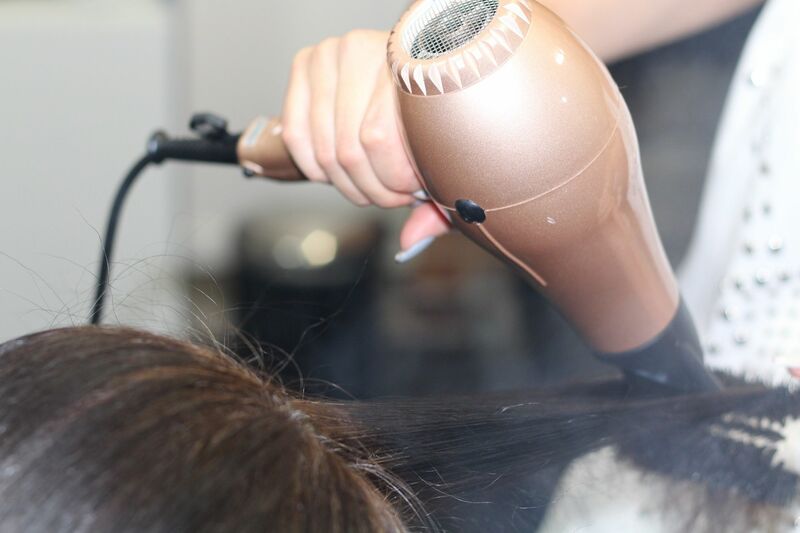 By applying heat, you evaporate the water which expands and can break your hair. It’s annoying and takes more time, but waiting until your hair is dry before styling it is the best thing you can do to keep it strong. That doesn’t mean of course, that you can go overboard when it comes to styling. Unsurprisingly, using heat and chemicals on your hair is a terrible way to treat it. Not everyone is blessed with their ideal look, but more often than not, your natural hairstyle will suit you as it is. It’s usually just about figuring out the right cut for your face shape and style. If possible, you should try to find a natural look that uses little to no styling products. It’s absolutely necessary to have your hair up in a bun or ponytail sometimes. But if it becomes a habit or style you do often, you risk pulling on the roots so much that it damages the foundation of your hair and loosens it. Just like with styling, it’s better to do this when the situation demands it rather than something you do all the time. Despite the benefits of brushing your hair, there is definitely a risk of overdoing it. And just like with having it up, brushing from the roots tugs and pulls on them in a bad way. You may also become impatient when you find tangles and tug on them until they untangle. The issue here is, again, that you pull on the roots too hard. The best thing to do is brush your hair slowly and with patience. To spare your roots, it’s also often better to just brush from the middle down instead. Growing your hair long feels like a process of one step forward and three steps back. It’s finally starting to get to a length you like but then you see split ends and realize you need a dreaded trim. So to avoid it, you just pick out the split ends and leave your hair alone. The problem with doing this is that it actually causes even more split ends to occur. Know that just because getting a trim feels like a huge step back doesn’t mean it actually is. Getting a cut when it’s time will ensure your hair stays much healthier and can grow to a lovely length without issue. Unfortunately, there is nothing worse than using hair dye. While it’s safer to go darker than lighter, it doesn’t change the fact that chemicals are being applied to over your hair and right up to the roots and scalp. Studies have shown multiple adverse effects not only to the hair but to the person’s body too. Often women who went for the bleach-blonde look when they were younger end up with dead, coarse hair that needs to be cut short. If you want to dye your hair, really consider the long-term risks and do thorough research to find the least damaging products available. While this seems like a lot, the overall advice from this article is fairly simple. Your hair is at its healthiest when you wash it with water, shampoo it occasionally, let it dry naturally, and leave it alone. The more you add chemicals, heat, and twist and scrunch it, the more hair damage you will cause. No matter what you’ve done in the past, if you start making changes now you will still see improvements. Check out our products which are designed to help repair some of that damaged hair while also giving life back to your locks.